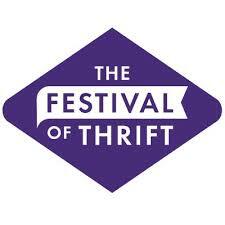 Oh my the Festival of Thrift literally goes from strength to strength flexing its creative muscles even further every year. Sustainable living is at the festival’s heart with workshops (ceramics, bread and blacksmithing to name but a few), a joyous outdoor performance celebrating women & cycling & fashion – Blazing Saddles natch – amazing stalls and entertainment, an Oxglam fashion show and oh, just too much to mention here! Check out their website below and make a weekend of it!